Recently, we held our annual Med One National Sales Meeting. It was more like a family reunion where we gathered together and reminisced on the successes of the past year. We felt a spark of excitement as we planned our strategies for the upcoming year. We had a wonderful time together as we discussed future opportunities. We were all re-energized and motivated to return to our areas and go out and “make it happen.” I had the privilege of sharing a few thoughts and observations with our sales team. I would like to include a few of them in this article. Like the contractors, some people roam around without a set plan and very few answers. In terms of their future, they tend to be clueless. They seem to have no objectives. It’s not that they are lazy…they simply have uninspiring goals. We all need exciting goals to keep us focused and aimed where we want to go. Too often, we celebrate a finished product and not all the small successes we experience along the way. The small successes keep us motivated and moving forward. Goals clearly turn the invisible into the visible. There was a woman who fished all morning and didn’t catch a thing. Her frustrations intensified as she watched a man in the boat next to her catch a fish on nearly every cast. To make matters worse, he would throw back the BIG ones, and keep the SMALL ones. Finally, she couldn’t stand it any longer. She called over to him and asked, “Why are you throwing the big ones back?” He simply responded by holding up a small frying pan. Though it may seem silly, each of us is carrying around a frying pan. It may not be visible to others…but it is there. And, the size of our frying pan largely determines the size of our future. When an idea, a thought, or a dream comes our way, we simply hold it up to our frying pan. If the frying pan is too “small”, we immediately discard the thought or idea and move on. Perhaps the solution is to instead throw away our “small” frying pan and replace it with a “large” one. Then we will be prepared to chase our passions. Are we THINKING big enough? Are we DREAMING big enough? Do we have realistic GOALS? Do we have intense DETERMINATION? What if we throw the little fish back and keep the big ones? What a refreshing thought! An editor once told Louisa May Alcott, best known as the author of Little Women, that she was incapable of writing anything that would have popular appeal. Hmmm… I wonder if she was carrying around a “small” frying pan? If so, chances are she replaced it with a “large” one. She began thinking big...and the rest is history. Michael Jordan was cut from his High School basketball team. His coach told him that he didn’t have what it takes to be a basketball player. Hmmm...I wonder about Michael’s frying pan. Was it too “small?” I’ll bet he threw his small frying pan away and replaced it with a “large” frying pan. And then, he began to dream big… and the rest is history. Do we have realistic GOALS? Yogi Berra once said, “If you don’t know where you are going, you might wind up someplace else.” Have you ever been “someplace else?” I have, and it is no fun. Walt Disney was fired by his news editor and told that he had no good ideas. Hmmm… I wonder if Walt Disney was carrying around a “small” frying pan. I think it is safe to say that if he was, he replaced it with a “large” one and the rest is history. Are we motivated with unquenchable DETERMINATION? We can learn a powerful lesson from a young man named Glenn Cunningham. He was severely burned in a fire and was told that he probably wouldn’t live…but he survived. He was told that he would never walk again… but he did. And not only did he walk… he ran. In 1934, he ran the mile in four minutes and eight seconds… the world’s fastest indoor mile. He competed in the 1932 and 1936 Olympics. By the time he retired from competition, Glenn amassed a mountain of records and awards. Hmmm… What size frying pan was Glenn toting around? I think we know the answer to that question. Do we have a clear and precise game plan? Are we on the right track? Do we know where we want to go, and what we need to do to get there? There are plenty of companies out there who are content to be good. Med One is not one of them. We want more. We have prided ourselves in being very unique. At Med One, we offer more flexibility in equipment acquisition solutions than any of our competitors. This creativity includes innovative subscription programs, Equity Rental offerings, and just about any other feasible solution that is needed to help our hospital customers acquire equipment. We continue to embrace our main philosophy – “At Med One, We Make Medical Equipment Available.” We accomplish this objective by doing whatever it takes. Our rental equipment is second to none. We go to great lengths to make certain it is clean, like new in appearance and functions properly. Our service is also second to none. We sincerely believe that our customers come first, and we will go above and beyond to prove our commitment to them. Med One is striving toward greatness with a clear purpose and determination. 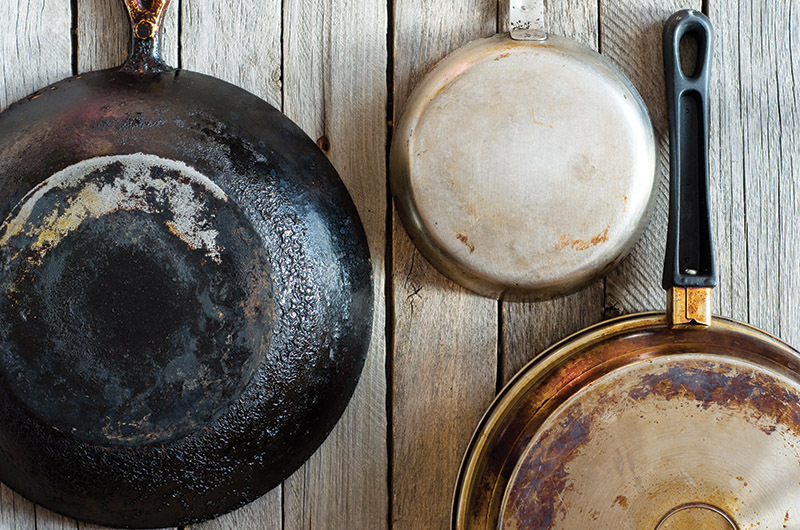 Long ago, we threw away our “small” frying pan and replaced it with a “large” one. We are aggressively pursuing our passions and our potential. We thank both our employees and our customers for giving us the opportunity to serve the communities of this great country. We are confident that our future will be an incredible ride.